These are versatile so you can add weights if you'd like or even cans of soup to substitute as weights! No excuses do anywhere workout! 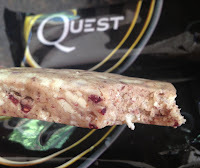 Of course they're nutrition is always awesome. 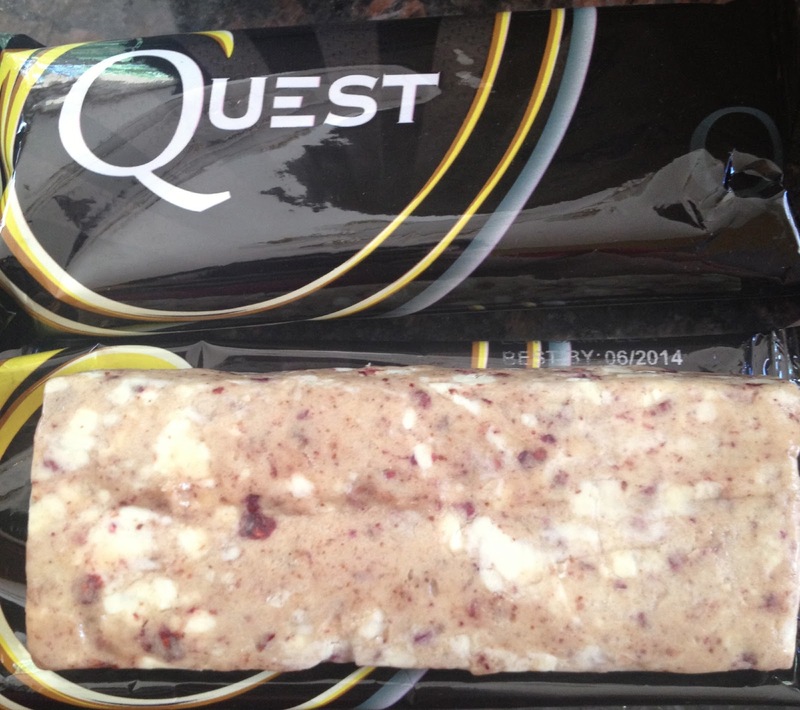 High protein, low carb, high fiber, 190 calories. 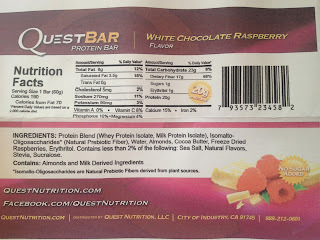 I opened the package, took out the beautiful quest bar spotted with white from the chocolate and red from the raspberries. 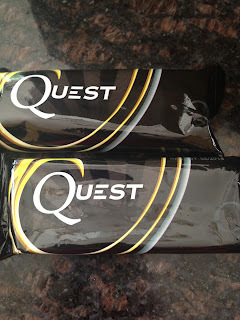 Is it a sin to say I may like this flavor better than the PB cups Quest has?! Someone slap me cuz I must be going crazy. Sweet, fresh, fruity, white chocolatey, melty, DELICIOUSNESS, in one bite. 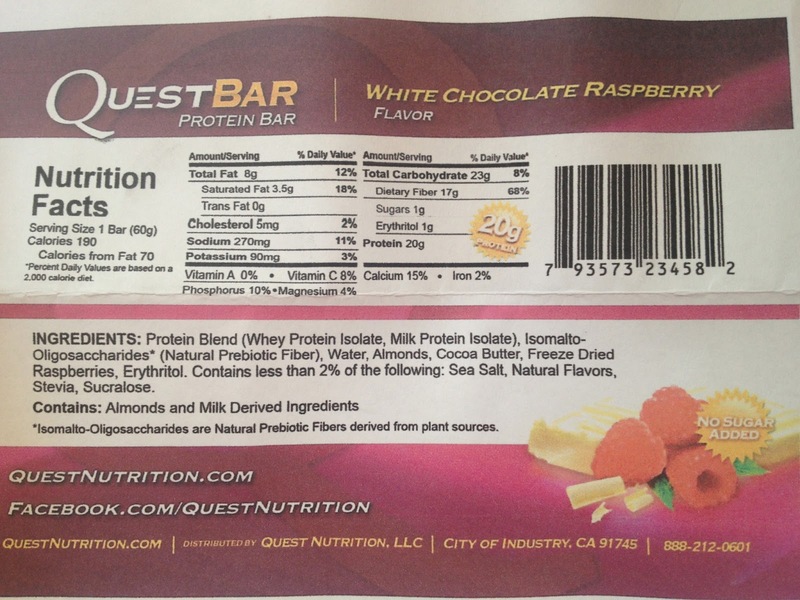 Can you see the white specks of the white chocolate?! Can you see the red of the delicious fresh raspberry?! 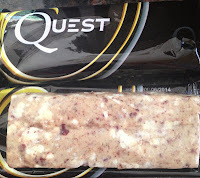 I have to finish making love to this new Quest Bar. But seriously.. it's that amazing. If you don't believe me, go try out some for yourself. They're currently not for sale YET, but I'll let you all know when! 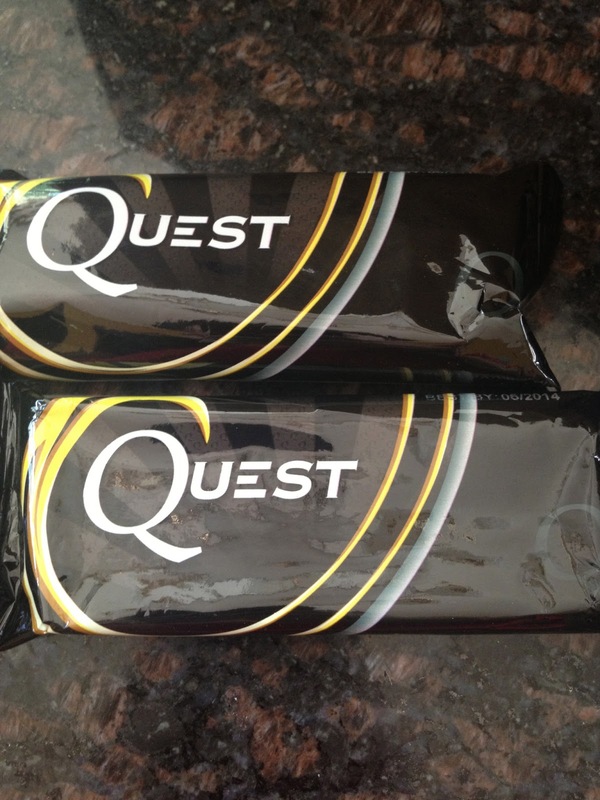 For now, check out their other flavors at QUEST!